Volvo just settled an Equal Employment Opportunity Commission (EEOC) lawsuit alleging Americans With Disabilities Act (ADA) violations to the tune of $70,000 after they refused to hire a man over his medically prescribed suboxone as part of his recovery process from opioid addiction. It may come as a surprise to some, but it is well established rule that addiction–both to drugs and alcohol–count as a disability under the ADA. The rules are a bit more complicated than the usual ADA rules, but courts have generally been in agreement that failure to provide appropriate accommodations to those recovering from addiction before taking negative employment action (or even offering a job) can be disability discrimination under the Act. But there’s more to the exact extent of your duties as an employer or your rights as an employee than usual when it comes to addiction. To understand these rules, let’s look at Volvo’s situation, the basic ADA rules, and the rules when it comes to addiction. The cause of Volvo’s legal woes was a conditional job offer for a laborer position made to an otherwise qualified applicant by the name of Michael Files back in early 2015. The condition was that Files submit to a post-offer physical examination. At this examination, Files disclosed to the nurse that he was taking medically prescribed suboxone as part of his road to recovery from former addiction. It had been five years since Files had used any drugs–he had been a suboxone-assisted recovery program since 2010. However, the nurse told him that Volvo considered the use of suboxone on the same level or worse than using heroin. When Files showed up to start his job, Volvo’s HR department told him that they wouldn’t hire him because of his suboxone use. This was the source of their EEOC issues, the ADA requires employees to make hiring decisions (and firing/promotion decisions) based on the qualifications of an applicant as opposed to any disability–including qualified situations where a former addict is involved with a medically supervised treatment program. Where an ADA qualified disability comes up, the employer must explore reasonable accommodations for the employee or would be employee. This doesn’t mean an employer needs to bankrupt themselves, but they at least need to explore ways to make accommodate the disability. So long as it isn’t extremely prohibitively expensive, and the disability doesn’t render the person incapable of performing the job the employer must provide these accommodations and consider only the applicants qualifications. Volvo didn’t investigate the program, or individualized accommodations, whatsoever. It’s also unlikely that the suboxone program would have rendered Files incapable of manual labor. This meant that this would have been a bit of an uphill legal battle or Volvo. Thus, the settlement is not a huge surprise to avoid a costly legal struggle in court. Besides the $70,000, the Volvo settlement includes a consent decree for the next three-years which bars Volvo from violating the ADA in the future. This is obviously a bit of an odd provision from the outside, obviously Volvo doesn’t want more lawsuits and promising not the break the law could seem a little silly, however it means that Volvo will be held more easily accountable for ADA violations soon. Volvo is also required under the settlement to amend its policy on post-offer medical and drug evaluations to conform with the ADA. provide ADA training to its STAFF and distribute information to its employees on their ADA rights. Finally, Volvo will need to report to the EEOC on its handling of future complaints regarding ADA violations. As mentioned, it’s no surprise Volvo settled. The only real remaining issue to discuss in their case with the evidence at hand were the complicated issues of addiction under the ADA. Even with this in mind, it seems likely that the expense of litigating a case with a poor chance of success wasn’t worth it to Volvo. Let’s look at how addiction works under the ADA to understand the thought process of Volvo here. Is Addiction Protected Under the ADA? There’s a bit of a push and pull when it comes to drug and alcohol use and the ADA. The ADA explicitly allows employers to ensure that they comply with federal laws regulating drug and alcohol use and keep their workplace free of illegal use of drugs and alcohol–including through drug testing. State by state, the rules get a bit more complicated for marijuana. However, at a federal level the ADA also treats addiction as a disability and provides protection to recovering drug addicts and alcoholics. First and foremost, the ADA does not protect current use of illegal drugs. If this is the case, the addiction does not count as a disability. However, if the person was formerly addicted to drugs but is currently rehabilitated–holding this against them in an employment action violates the ADA. A current user under the ADA is anybody using drugs at the time of the decision–whether casually or as a serious addiction. The law defines a current user as anybody who has used an illegal drug recently enough to justify an employer’ reasonable belief that there is an ongoing drug issue. Some guidelines for situations when this may be the case include positive drug test results, however the exact definition will be based on the situation at hand–the person and type of drugs involved–and can vary from one to weeks. In a very few examples, with the right facts and history of repeated relapses courts have even allowed for current use to stretch back as far as months. It’s also worth noting that a former casual user of drugs or alcohol is not protected by the ADA–only those who have suffered addiction. A qualified individual under the ADA must either have been successfully rehabilitated and no longer using illegal drugs, currently in a rehabilitation program but not using, or erroneously believed to be using illegal drugs such as Mr. File’s medically prescribed rehabilitation. Even when qualified, employers can still demand that these employees meet the same performance and conduct standards as other employees. An employee cannot enter drug rehabilitation after testing positive for illegal drugs, even the same day as the test, and receive ADA protection. Common accommodations for qualified individuals under the ADA include modifying work schedules for recovery programs and allowing employees to take leave to receive treatment without punishment. When it come to alcoholism, the ADA treats it nearly identically to drug addiction. The same types of accommodations must be extended in similar circumstances. You can still obviously prohibit alcohol at work and require employees not to show up drunk. You also don’t have to offer rehabilitation instead of punishment for any issues at work related to alcohol–this used to be a requirement known as firm choice rules but the EEOC no longer requires it of federal employers. An employer is also not required to provide leave to an alcoholic employee if they can establish that such treatment would be futile. Employees are further not allowed under the act to blame alcoholism related incidents on their disability when seeking ADA protection. It is worth noting that, for both alcoholism and drug addiction, an employer is only required to provide accommodations for those who admit to their disability and request accommodations. This means, as an employee, it is important to communicate your situation if you want protection. This obviously raises a slightly touchy real-world issue, how will an employer react to this sort of news—ADA or no. However, if you want these protections, it is important you are clear about your situation. Can Drug Use Trigger Pre – Employment Issues? As is clearly shown by Volvo’s case, the ADA also applies to situations during the hiring process. While an employer can ask if an applicant drinks alcohol or is currently using drugs, they are not allowed to ask if that employee is an alcoholic, addicted to drugs, or has ever been in a rehabilitation program for one of those issues. The situation changes after a conditional offer of employment has been made, as it was to Mr. Fine. After this point, the employer is free to ask the above questions if they ask everybody. However, as seen with Volvo, you can’t disqualify and employee on that basis alone. You’re allowed to test for drugs before or after a conditional offer of employment and take action if illegal drugs are detected. On the other hand, a medical examination can only be required after a conditional job offer. After drug testing, it is important to ensure that you are not erroneously detecting a legally prescribed drug. As mentioned above, this can lead to an ADA violation. Normally, an employer isn’t allowed to ask about prescription drugs before making a conditional offer. However, the exception to this is to follow up for explanation on a drug test that comes back positive. 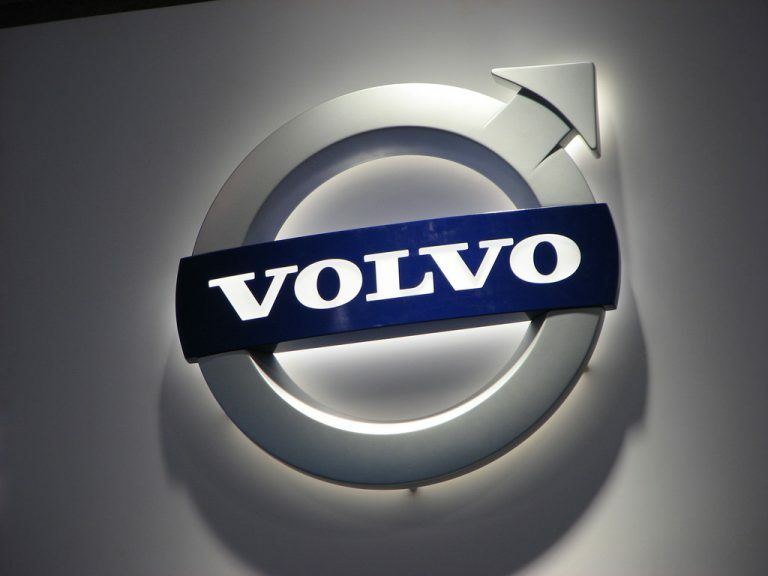 How Can Employers Avoid Volvo’s Situation? As either an employee or an employer it is crucial to understand the workings of the ADA to protect your rights or your business respectively. Volvo has settled the matter and is already has steps underway, both under the settlement and otherwise, to help them avoid this sort of costly pay out in the future. Drug addiction and alcoholism are serious diseases that have enormous impact on the lives of tens of millions of U.S. citizens. The road to recovery can be extremely difficult, even with the help of a rehabilitation program. It can be even more difficult without a job to help support you through those trying times. The ADA takes this into account, along with the realities of running a business, in offering protection to those struggling with these serious issues.